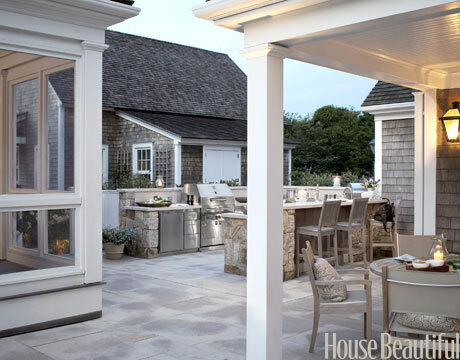 With summer fast approaching, I dream of having an outdoor space fit for entertaining. Although my climate does not warrant the cost of building and outdoor kitchen of this scale, I'm still drawn to them on so many levels. 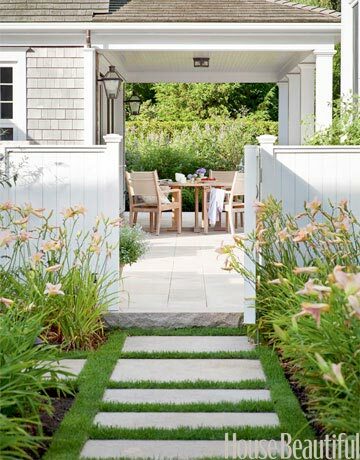 This one caught my eye for its casual elegance, natural elements, shingled siding and open space. I feel relaxed just looking at it! 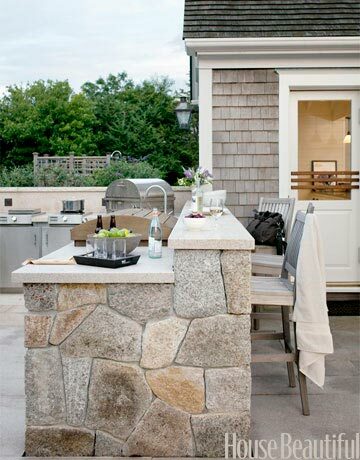 Do you have an outdoor kitchen for entertaining?